Germans had a special admiration for ancient architecture – that of Rome and Greece in particular, and Adolf Hitler was no exception. For him and his Nazi regime, though, there was more than admiration for this sort of architecture. They saw it as a means to impose fear and respect at the same time. The totalitarian regime aimed to use the architectural plan as one way of communicating its purpose. The architecture had an important part to play in the plans by the Nazi party to fashion a cultural and spiritual renaissance in the country as a key agenda of the Third Reich. Instead of adopting the rapidly changing art at the time, Hitler decided to embrace a conservative, notably monolithic architectural style which was both impressive and chilling to many people in equal proportion. The German ruler had all the intention to establish a lasting regime. With these robust structures and their outstanding aesthetics, Hitler’s power within Germany would be completely undeniable. With the help of Albert Speer, his chief architect, Hitler market his rule with a rich variety of conservatively designed buildings some of which were destroyed during the war. But some these structures were spared; either to be put to other uses or simply to serve as reminders of that dark era in the history of Germany. Here we look at ten of these epochal buildings that exist to date. 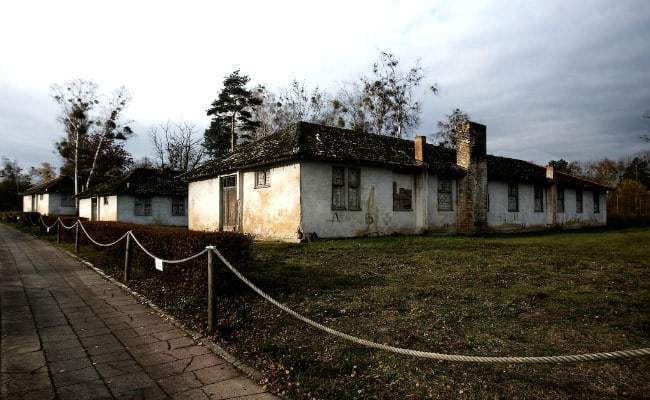 Rugen Island, Germany’s largest island by area, located off the coast of Pomerania is the location where Hitler’s administration chose to put up the holiday resort. Prora was built in the period between 1936 and 1939 as a Strength Through Joy project. The beach resort features huge eight buildings boasting of well over 10,000 rooms. The Strength through Joy project was a large state-operated leisure organization in Hitler’s Nazi Germany. It was meant to promote the benefits that came with National-Socialism. And as such, the construction of Prora Holiday Resort was central to its very objective – the structure would be a place for the hard working Nazis to go and unwind. Somewhere in the 1930s, the Strength Through Joy became the largest tourism operator on planet Earth. Prora was the handiwork of Hitler and Speer’s design competition winner Clemens Klotz. With his design in place, more than 9,000 construction workers were brought on board to see the project through. Measuring 4.5 km long, the central building was located precisely 150 meters from the coastline. Outside the numerous rooms housed inside the enormous building were swimming pools and a cinema theater. The building was intended to accommodate 20,000 guests at the same time. It however never saw any guest through its doors, partly because the war interrupted its construction process. Hitler had to shift his attention into preparing for the looming World War II instead. The building was also used during the Second World War as an ancillary female personnel resort and a refugee asylum. When the war ended, the building ended up on the Soviet side of the Iron Curtain, using as part of their army base. When the East German Army was later founded in 1956, the country used the beach resort to house some of its own units. The structure has recently experienced some real estate developments and is in a better shape.